Cepex Extreme ball valves are ideal for isolation duties. Featuring an 'ANTI-BLOCK' system that prevents and avoids ball bloackage. Suitable for processes up to 10 Bar and 60°C using PVC-U Pipework systems. With PVC-U construction, FPM or EPDM seals and PTFE seats it is suitable for use with many inorganic chemicals and processes across industries such as Water Treatment, Chemical Processing, Energy and associated industries. 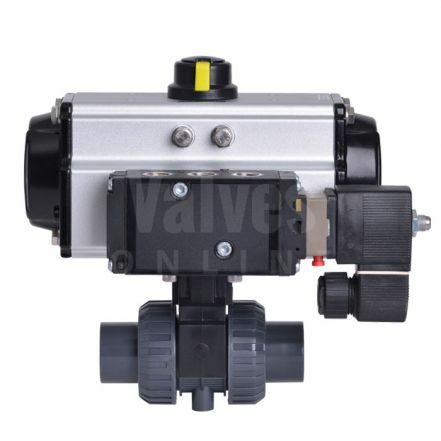 Options include an alternative operator with multi-position notch-plate and lockout, Pneumatic and Electric automation and alternative end connections including NPT Female Threaded and connections suitable for PE100. If any of these are required please enquire with one of our sales team to explore the best possible options for your process.